Recovering from a negative credit event, like a foreclosure, can take years – sometimes as many as seven years. Many Americans are reaching that seven year point after going into foreclosure early in the housing crisis. If you are one of those Americans you may be wondering if it is a good time to buy a home in Carmel, IN now that your credit has recovered a bit. Here are some pointers on how to further increase your chances with a mortgage lender, if you have been through a foreclosure. Be strategic. It would be best to wait the full seven years before applying for a mortgage. After seven years the foreclosure will no longer be an official mark on your credit score. It will hopefully also save you from higher interest rates as you won’t seem such a risky candidate. Pay down credit card debt. One of the fastest ways to improve your FICO score is to pay down your credit card debt, and if at all possible to pay it off entirely. Within a month of paying off your debt the change will be reflected in your credit report with a higher score. Hold off on other financing. A good rule for everyone, not just those struggling with their credit score, is to not apply for any financing in the year before or during the application process. 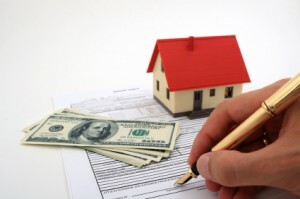 Lenders will review your debt compared to your income to determine whether you can get a home loan, and for how much. Any new loans can affect this number and your credit score. Avoid other black marks. It may seem obvious but needs to be stated – make sure to pay your bills on time and do not get into trouble with any loans. Otherwise, you’ll be at risk of starting the seven-year period from scratch, should a lender report a negative credit event to the credit-reporting firms. If you are ready to jump into the Carmel, IN spring market, contact a local Carmel, IN real estate agent. We are committed to providing you with the highest quality service. We hope to speak with you soon!